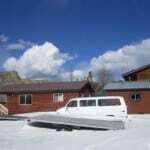 « What to do in Stanley, Idaho. We’ve started our weekend trips to Stanley to dust off the boats, organize the warehouse, clean the kitchen and set up shop. The first time we come to Stanley (from McCall) for the season generates a lot of excitement in our family. The kids get reacquainted with their room and the sandbox and memories of summers gone by come flooding back. Dave and I push up our shirt-sleeves and get to work putting things together, antsy for the season to get underway. 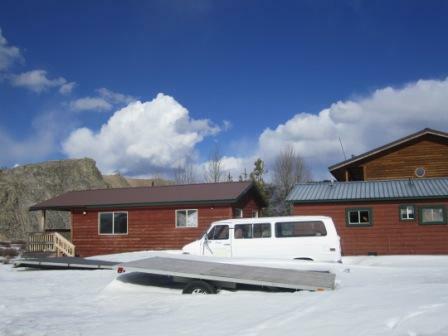 This time around we discovered more snow than usual on the mountain passes going to Stanley as well as in the boat yard. 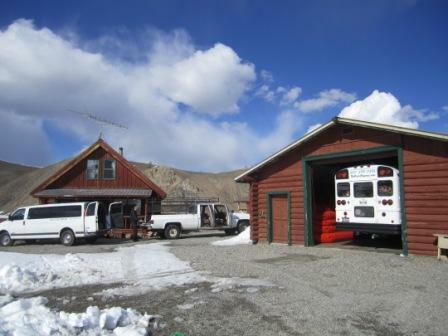 Giddy with excitement for a good water year, we shoveled snow in order to get the bus out of storage. Meanwhile, the kids asked to go to the beach, not realizing that our beach at Redfish is most likely under a blanket of slowly melting snow. But soon enough all this snow will be gone and before you know it our season will be underway! We will usher in the summer by hosting a swift-water rescue class through the Wilderness Rescue International May 24-26. Our family rafting trips and high water adventures begin Memorial Day weekend. 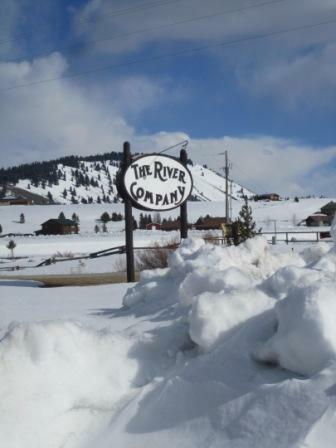 Call us at 1-800-398-0346 or book your trip online and look forward to a summer of exciting whitewater fun! 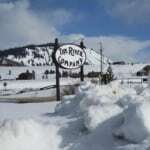 This entry was posted on Saturday, May 7th, 2011 at 6:24 am	and is filed under Family Rafting Trips, Guides, Idaho, River Rafting Trips, Salmon River, Stanley Idaho Rafting, Sun Valley Idaho Rafting, Sun Valley River Trips, The River Company. You can follow any responses to this entry through the RSS feed.